Four and a half years... That's what it took me to reach 500 posts, with an average of about 9 reviews/month. Behind I leave many great puzzles, others not so much. But one thing is common to all of them: they helped me to learn so much more about puzzles in a way that I wouldn't otherwise. And they all contributed to reach this important milestone. Another important fact that kept me going was the interaction with the readers of my blog, many with encouraging messages and interesting comments. 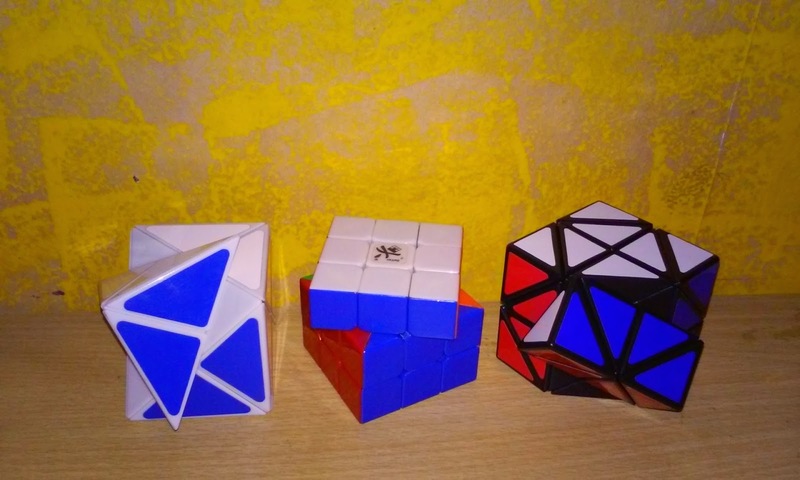 Over these four and a half years many of you visited, revisited, commented, suggested, liked and shared my thoughts and views on your favorite puzzles. My visitor counter says I have over 408,000 page views, but blogger insists I have over 570,000. Not sure which one is telling the truth, but whatever the number, it's way more than I was expecting to have by this time when I started, and I'm truly humbled that many of you find what I write interesting enough to comeback time and time again. To all of you that are reading this, THANK YOU for your support! 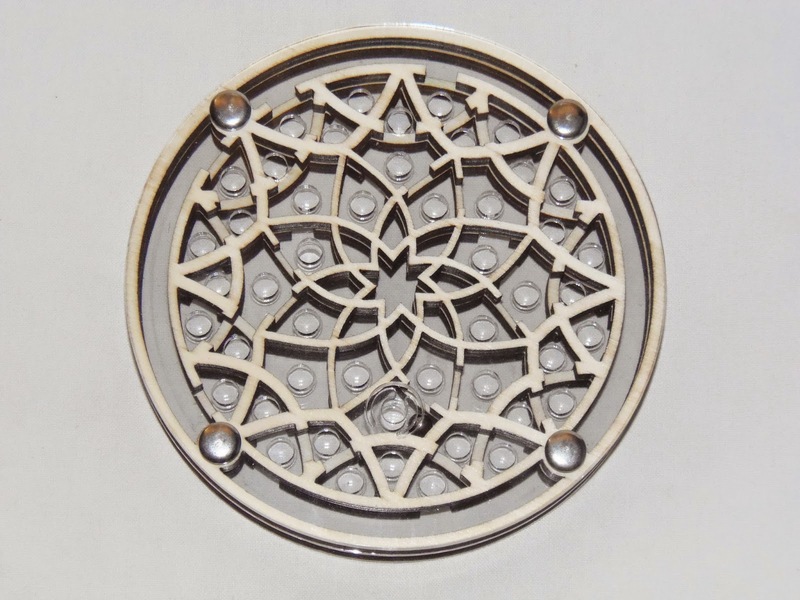 Designed by Jean Claude Constantin, this magnificent puzzle has a mesmerizing and beautiful pattern. Being a dexterity puzzle, the idea is to guide the ball through the labyrinth and find the exit. There are two layers in this maze with many holes between them. There's also a bigger version called Blumenlaby 8. 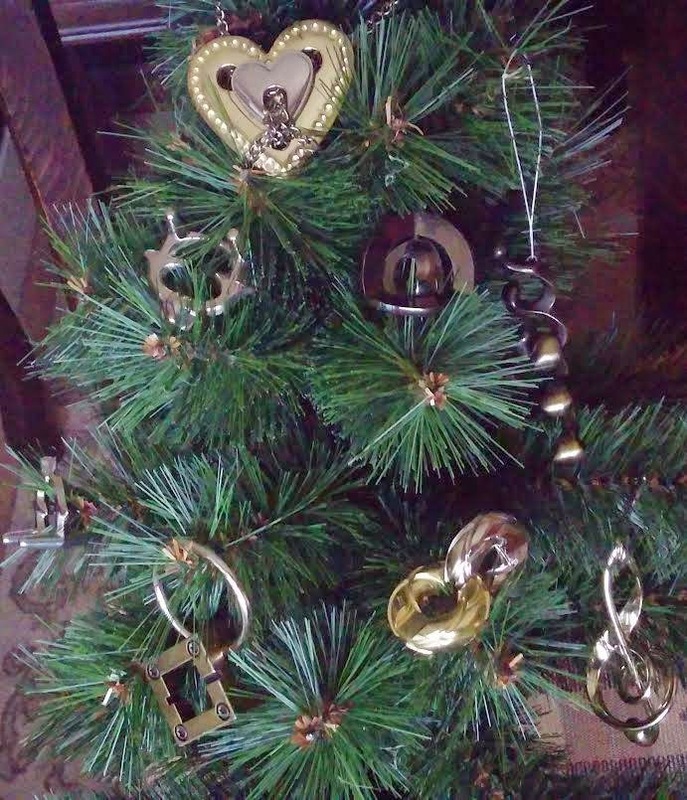 If you're a fan of dexterity puzzles, this one's for you. This is a very creative design by Robrecht Louage and Michel van Ipenburg. I've always been a fan of Robrecht's coin puzzles and this one's no exception. 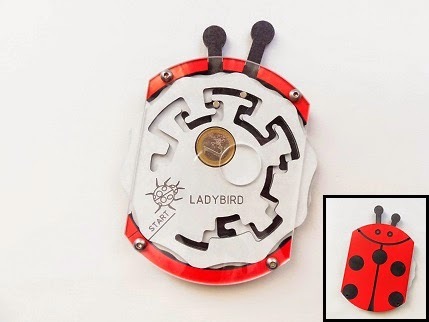 A 1€ coin is trapped inside the puzzle and your task is to guide the two metal studs through the two mazes by pushing and pulling the antennae until the coin is aligned with the hole in the acrylic. Not particularly difficult, but who says a good puzzle has to be always challenging? 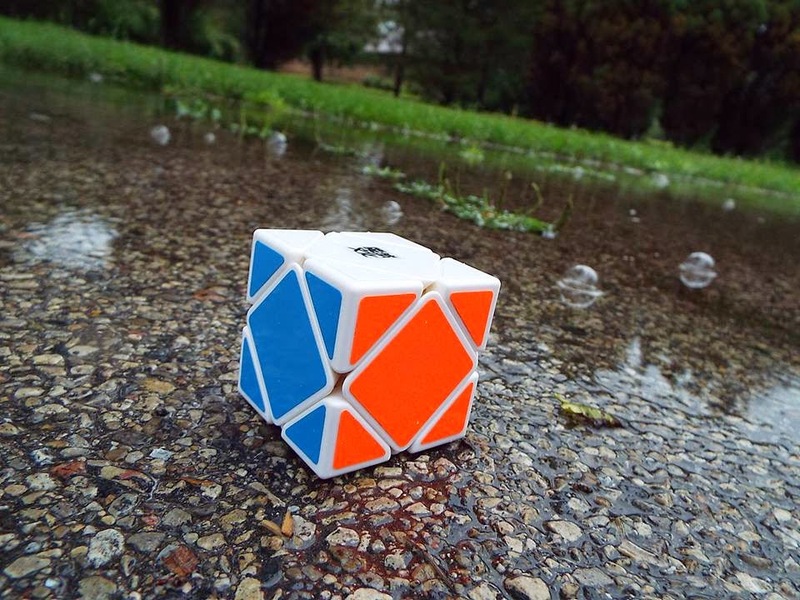 I've said it when I reviewed it and I'll say it again, this design is a very welcome change to the oversaturated market of cuboids, and for that I think it deserves all the recognition it can get. Tim Selkirk designed it and Uwe Meffert produces it. 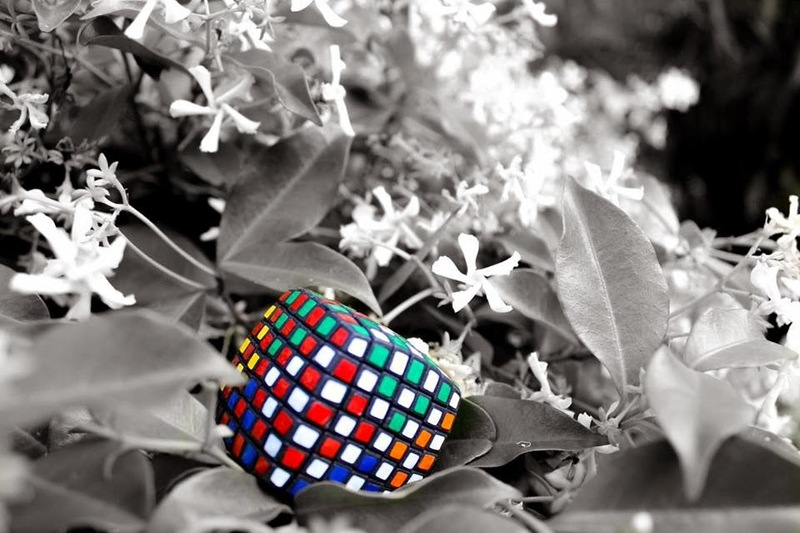 The puzzle consists of three layers and seven segments, and when scrambled it can shape-shift into some odd patterns. 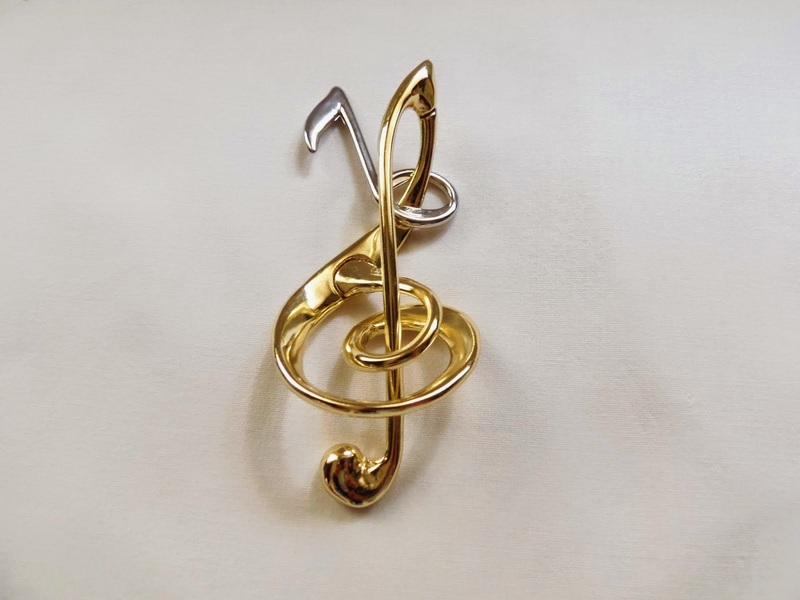 There's also an all-gold version, but it's harder to come by. Have you ever seen a 2D Twisty puzzle? 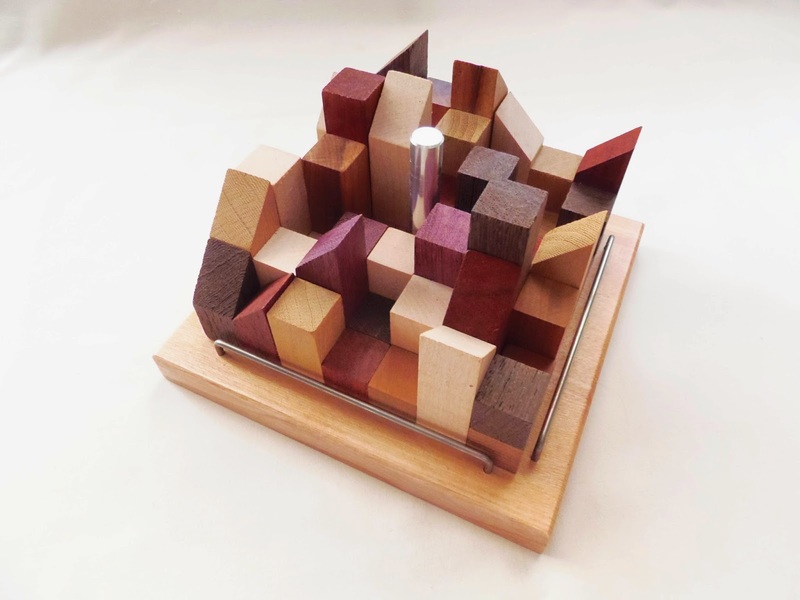 Meet the Geranium, designed by Leslie Le, a scary-looking puzzle that's as hard to solve as it looks, but quite fascinating design-wise. There are five discs that overlap each other. In fact, each disc shares some of its segments with all the other four, which makes it ever more complex. There are other versions of this puzzle with different designs, but this one's my favorite. Siebenstein-Spiele has rapidly grown into a very prolific puzzle producer. With so many great new designs available all the time, the product of the genius of Jürgen Reiche, it's hard to choose the best ones, but one that has captivated my attention the moment I saw it was the Die 5 Elemente, with its shapes and colors and beautiful presentation. 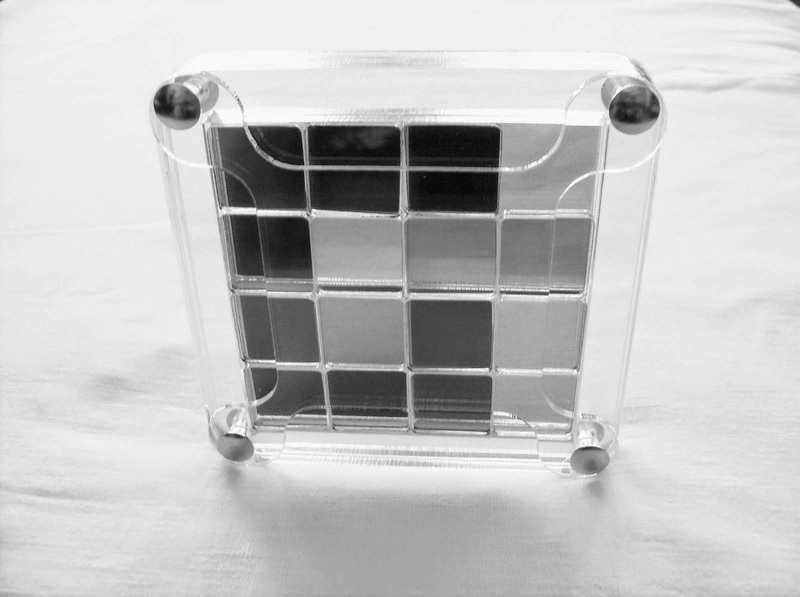 The object is to arrange the pieces so that no two colors or shapes can be repeated in any direction (horizontal, vertical and diagonal). While this is not a new concept, it's certainly the most beautiful version I've seen so far. Japanese Puzzle Boxes have quickly become an obsession of mine. The symbol of Japanese perfect craftsmanship and the product of years of passed-down knowledge between artisan and apprentice, these puzzles are truly an art form. 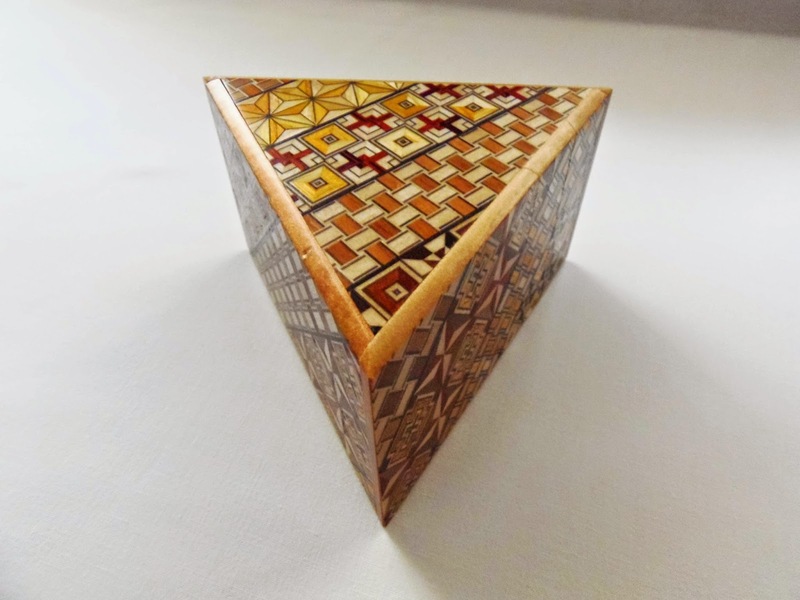 The most common Japanese Puzzle Boxes you can find are rectangular, but this triangular one is a beautiful exception. Like any other of its counterparts, the goal is to discover the hidden movable panels and slide them in a sequential order to fully open it. Another perfect example of Jean Claude Constantin craftsman's skills, the Skyline is a dynamic packing puzzle. What I mean by that is that there are 13 different outcomes depending on where you place the metal rod in the frame. Each piece has a few "buildings" glued together and when each puzzle is solved, the arrangement of the skyline changes too. 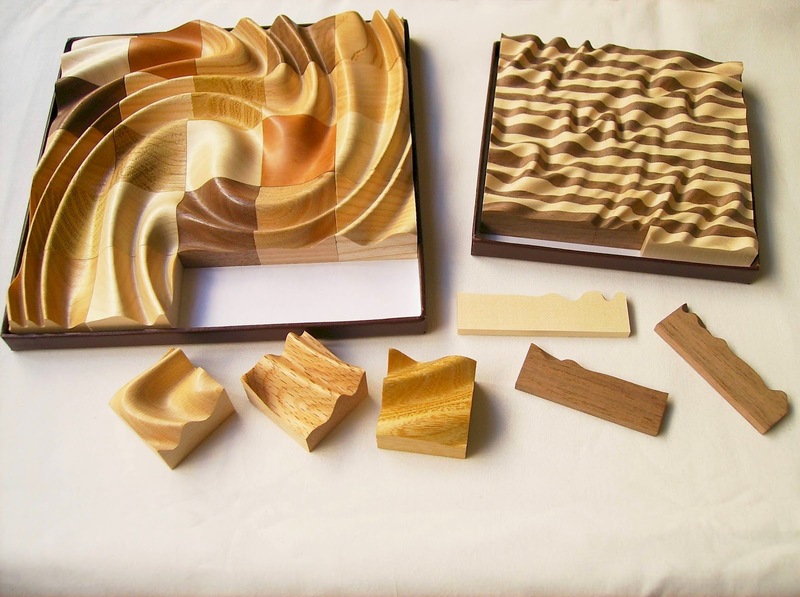 Made from different types of woods, the result is a colorful and beautiful skyline. If I said to you that this trick lock was made by someone that has only a few puzzles in his portfolio, would you believe me? Because that's exactly what it is. 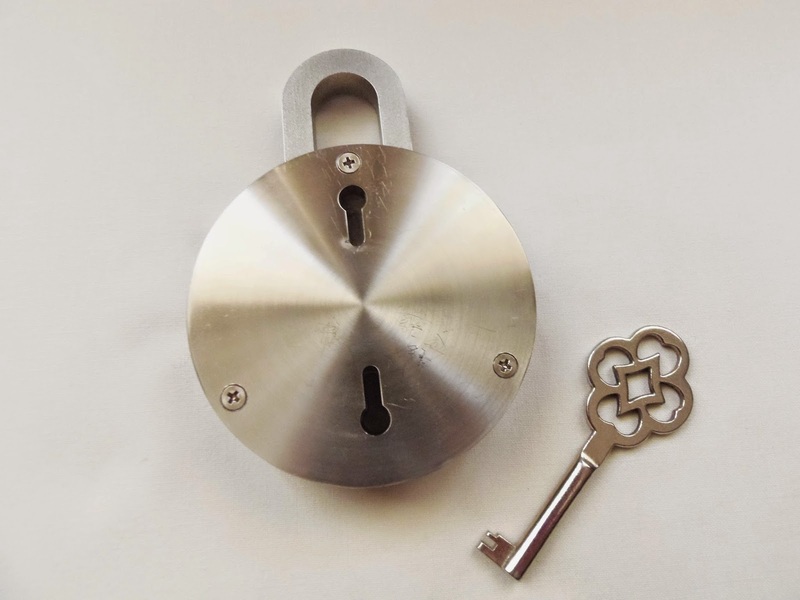 Splinter Spierenburgh continues to outdo himself every time I see a new design by him, and the Swing Lock is proof enough of that. 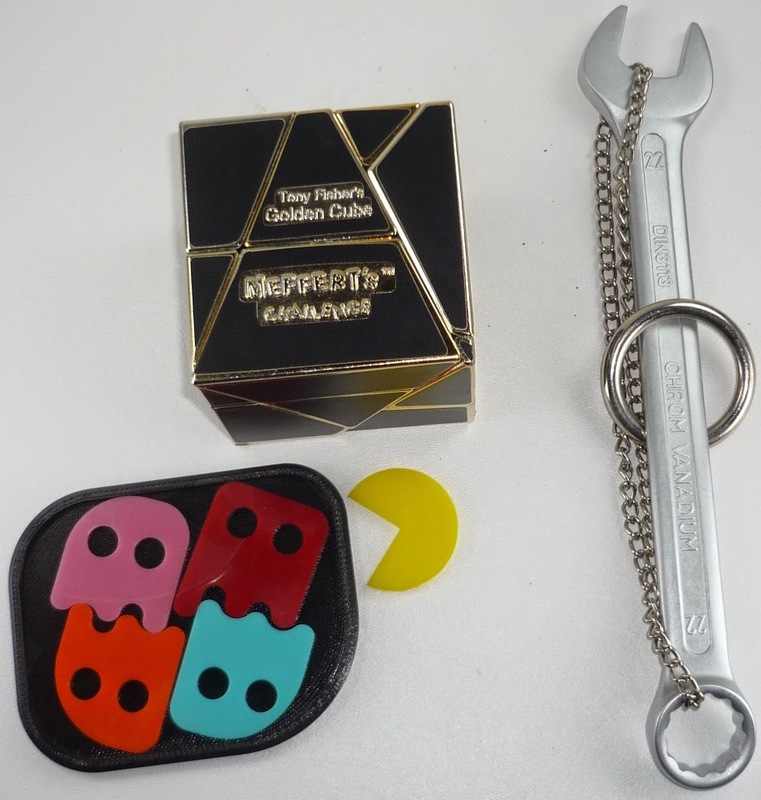 Made with high quality materials in two versions, plastic and metal, this puzzle features a very clever mechanism that true trick lock fans will certainly appreciate. 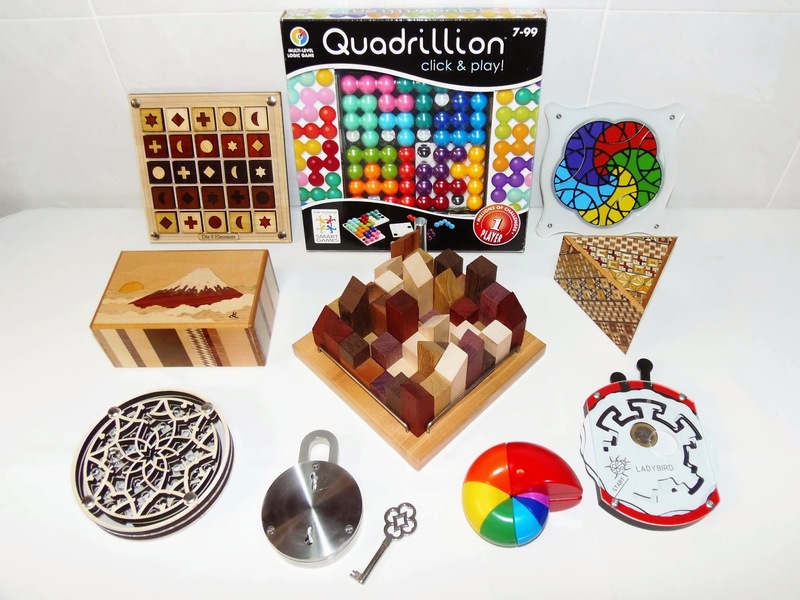 With more puzzles than you'll ever have the time to solve (over 4 million), Quadrillion by SmartGames and Raf Peeters is a hymn to any packing puzzle enthusiast and a must-have in any collection. 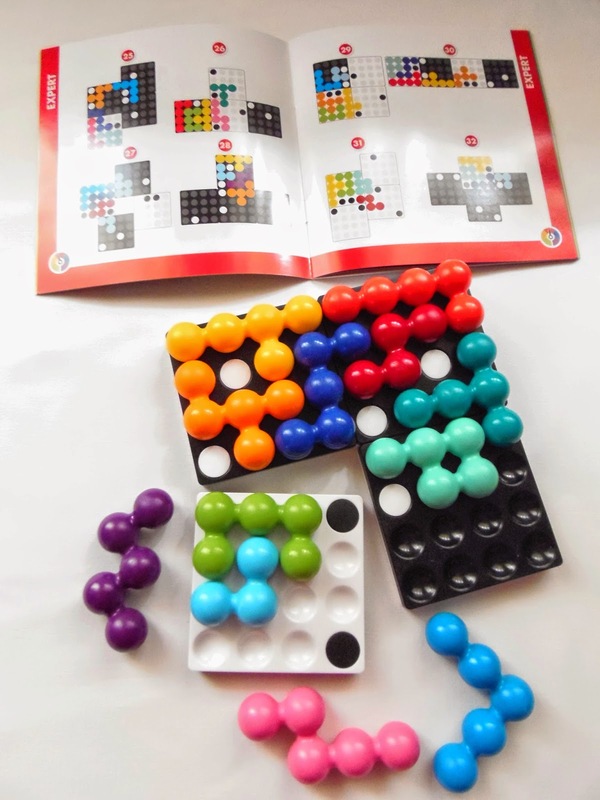 Four magnetic boards connect in numerous ways to form differently-shaped frames and every puzzle has at least one solution to pack all 12 pieces. What more could you ask for? 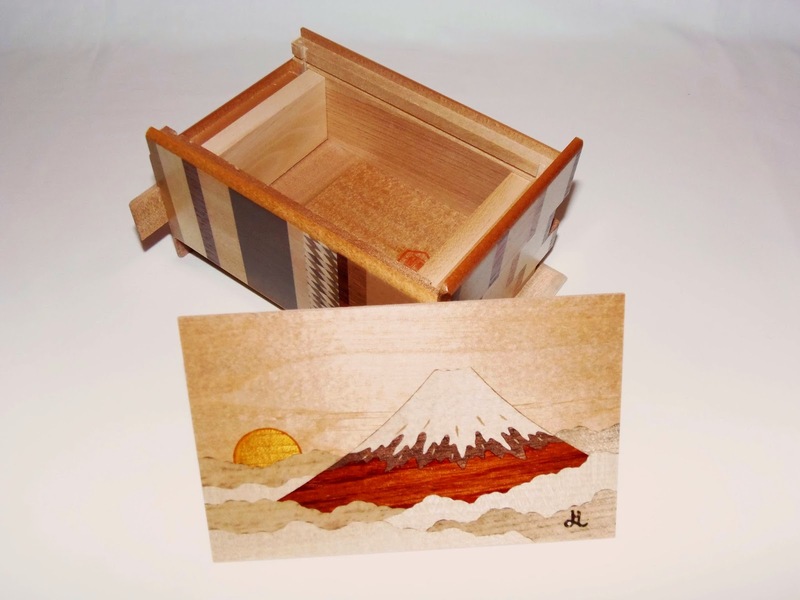 Japanese Puzzle Boxes are already a fascinating type of puzzles with all their beautiful intricate patterns, but when you combine a gorgeous marquetry work with an incredibly beautiful landscape of Japan, the result has to be extraordinaire. One of the most beautiful puzzles in my collection right now and one of my favorites is more than enough to deserve the number one spot in this list. Below you'll find the top 10 puzzles that were featured throughout my entire 500 posts so far. Again, you can click on their name to find more info on each individual puzzle. Anybody that knows Hanayama's Cast series certainly has their preferences. Most of their puzzles are true works of art and the Cast Harmony, designed by Dmitry Pevnitskiy and Kirill Grebnev, is no exception. Probably one of the most gorgeous Cast Puzzles ever designed, the concept itself suffers a little from its own design which is more beautiful than challenging...but who cares, right? 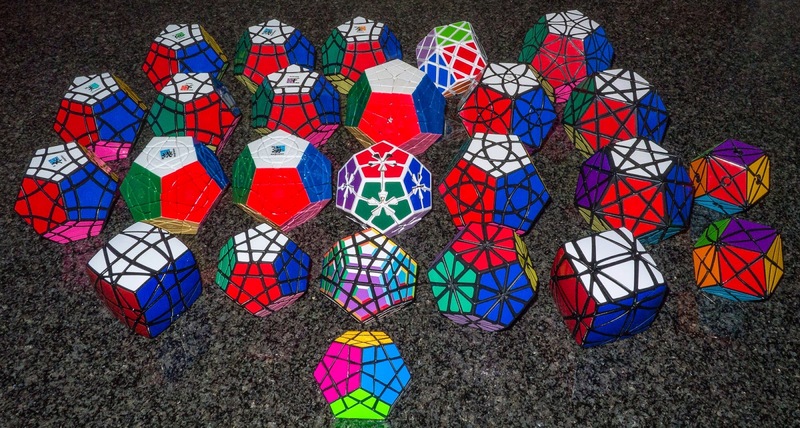 The fact that Wayne Daniel created a way to nest together all five platonic solids into one single puzzle is a true feat in its merit. 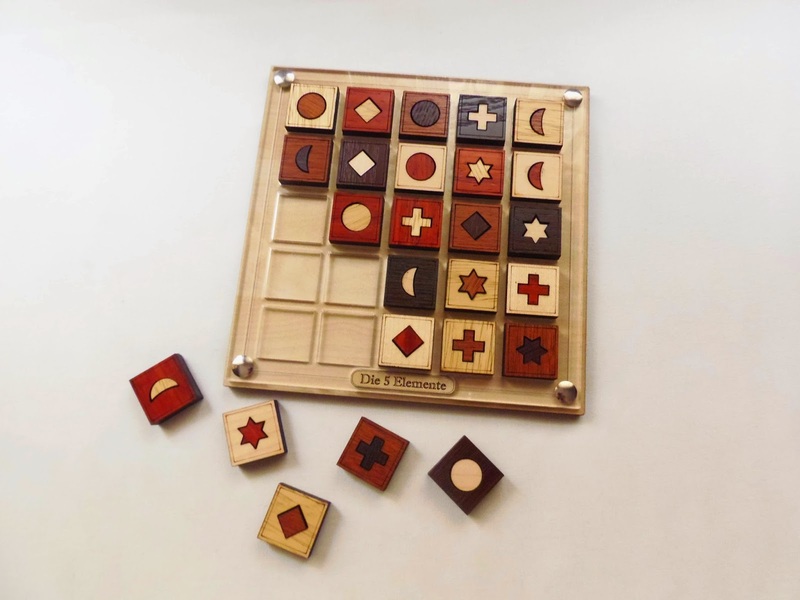 But he also managed to put together a really beautifully made puzzle with different types of wood and each puzzle has a distinct mechanism to be assembled. 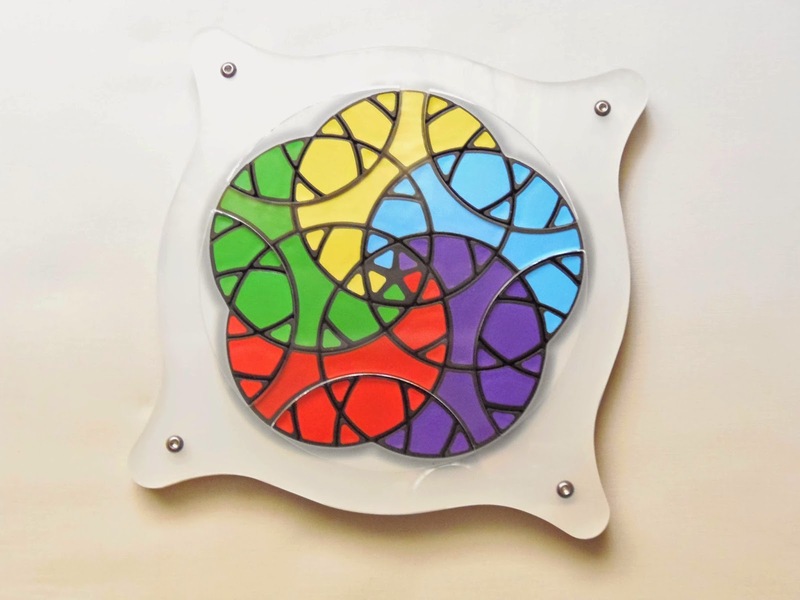 It's a 5-in-1 puzzle essentially, a great 5-in-1 puzzle. I have too many logic games in my collection, but only a few has truly managed to keep me coming back, and the Solitaire Chess by Vesa Timonen is one of such examples. Based on the same rules as traditional chess, the pieces move the same way as you'd expect as if it were a chess match. The only thing that's different is that you play by yourself, no opponent necessary. The idea is to capture every piece from the board, one by one, until only one remains. 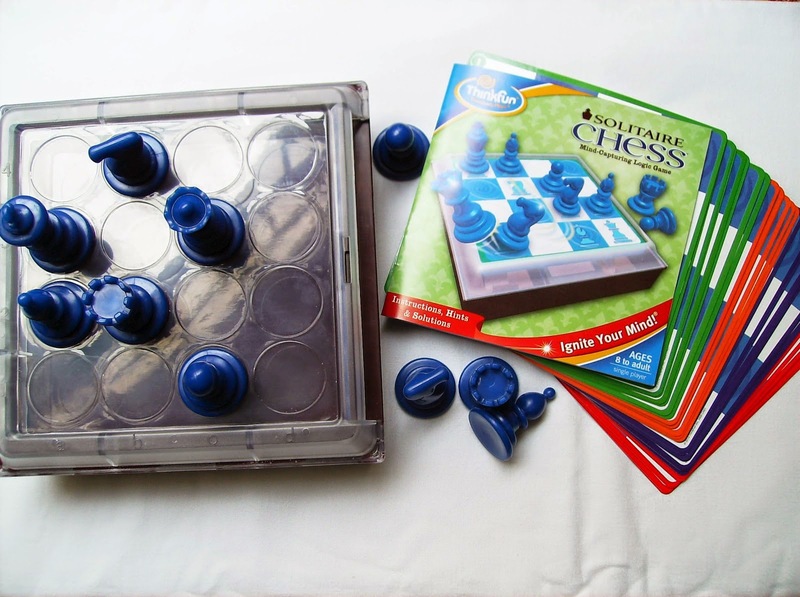 Surprisingly addictive and a perfect gift for chess aficionados. 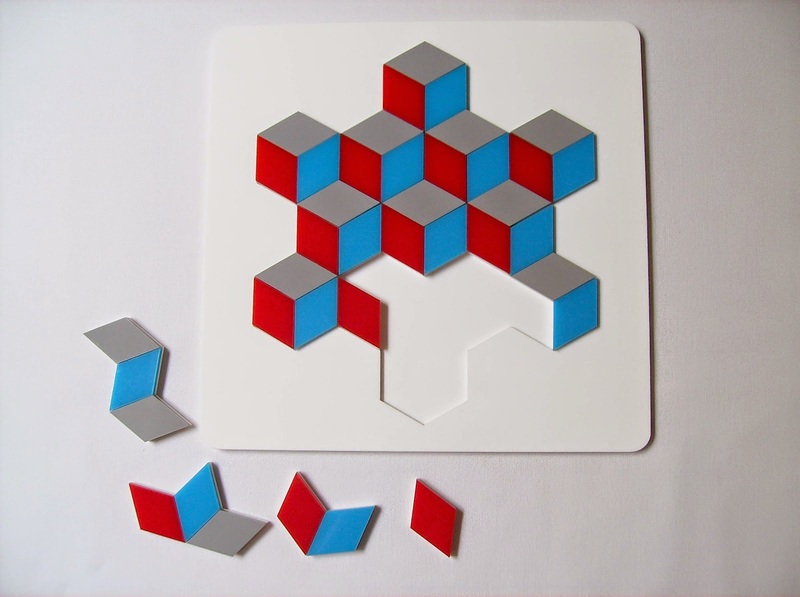 Václav Obšivač (better known as Vinco) is a very talented puzzle designer and maker from the Czech Republic. 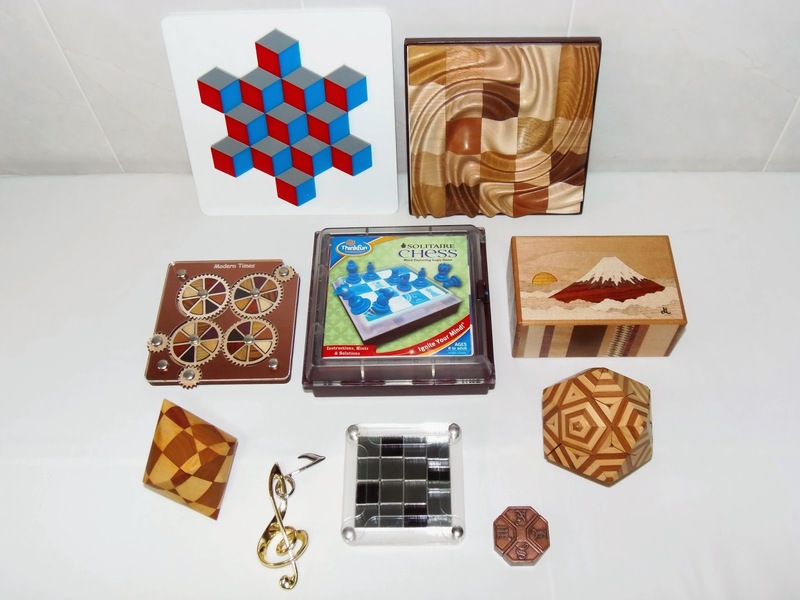 His designs are made with high quality and exotic woods from all over the world, but the most fascinating aspect of his puzzles are the shapes and how he combines the different woods to create beautiful patterns. 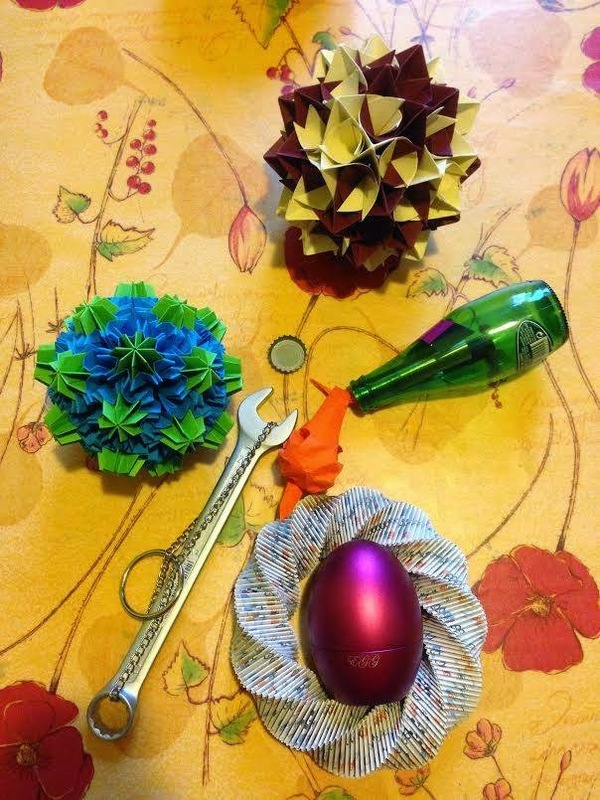 Seen here is the second version of the Bicone puzzle, solved by coordinated motion, but there are many more variations, the same puzzle but with different patterns. A puzzle that lets you play with light...how much cooler could it be? The secret is in the polarized filters in the glass that makes the tiles appear darker when they pass over a filter and transparent when they pass over it again. There's a lot of possibilities to create patterns, as well as trying to create an all-dark grid. It's one of the most fascinating puzzles in my collection and I have three more versions, all pretty fun to play with. My absolute favorite Cast Puzzle, designed by the father of the Cast Series, Nob Yoshigahara. 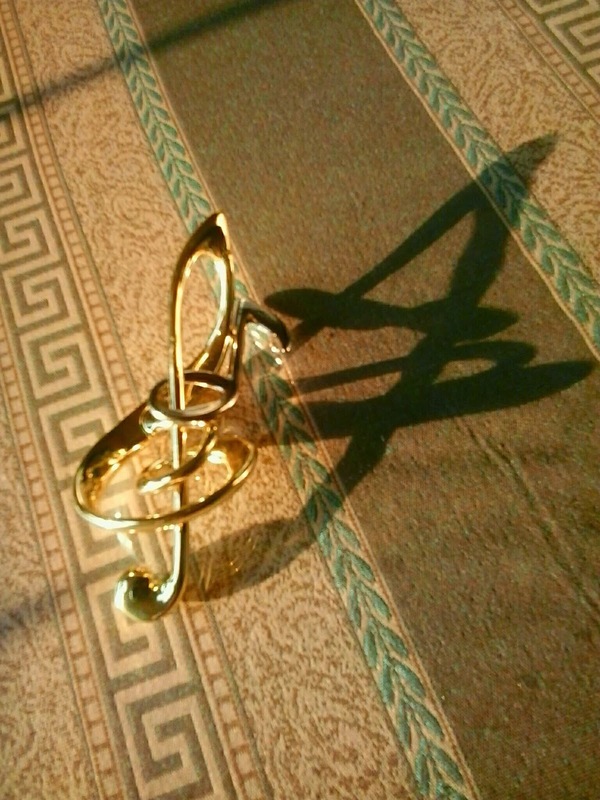 It was the first one in my collection, because I immediately fell in love with its design as soon as I saw it. 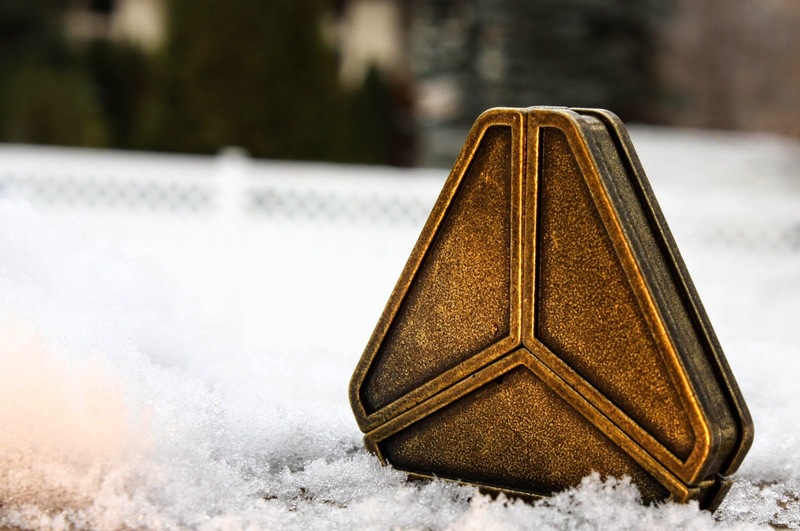 At first, it doesn't even look like a puzzle, more like a medal or some ancient device from a bygone era. Its difficulty is very debatable, some think it's very easy, others think it's harder than it looks. Personally, I think it's a 3/6, but when I first got it was quite challenging to figure out its mechanism. Nevertheless, it's a fantastic puzzle and should be present in any collection. 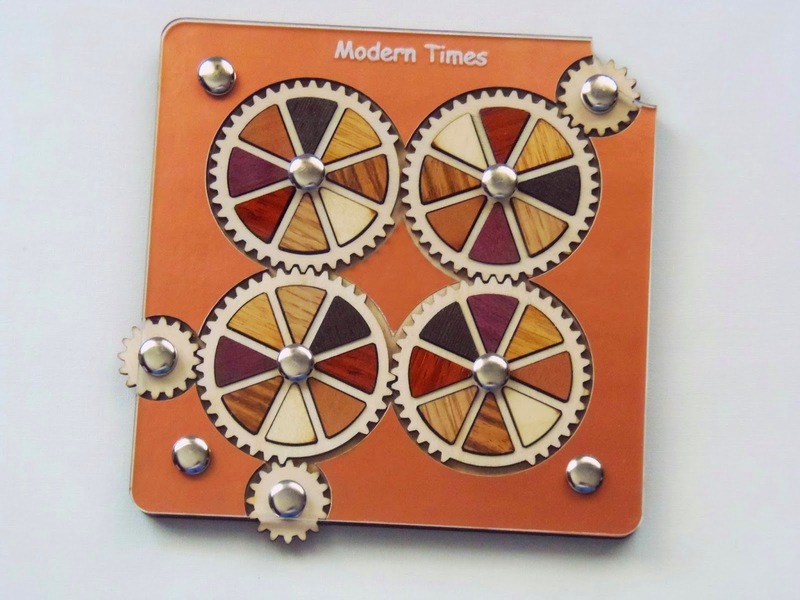 The name of the puzzle is Modern Times, but it actually resembles some contraption from the Leonardo da Vinci era. And of course, it's a puzzle with gears. Who doesn't like a good puzzle with gears? So far, this is my favorite design from Jean Claude Constantin. The goal is deceptively hard, as you try to match the colors with the adjacent wheels. It's an absolutely incredible design, very well built and its mechanism works like a charm. 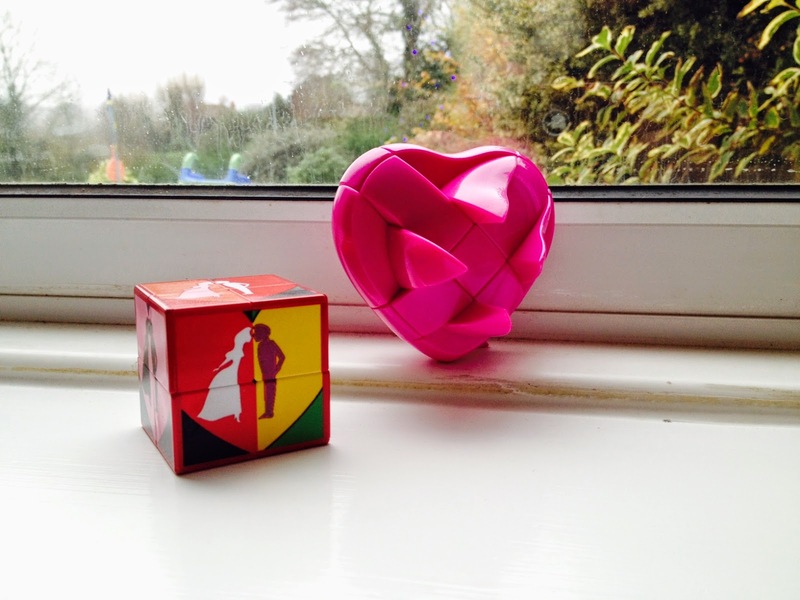 Escher fans certainly appreciate puzzles like the Cubits. Invented by Anneke Treep and Christian Freeling, this acrylic version is made by Kate Jones and looks stunning. You can build all kinds of mesmerizing 3D patterns, thanks to the color scheme and shape of its 16 pieces. 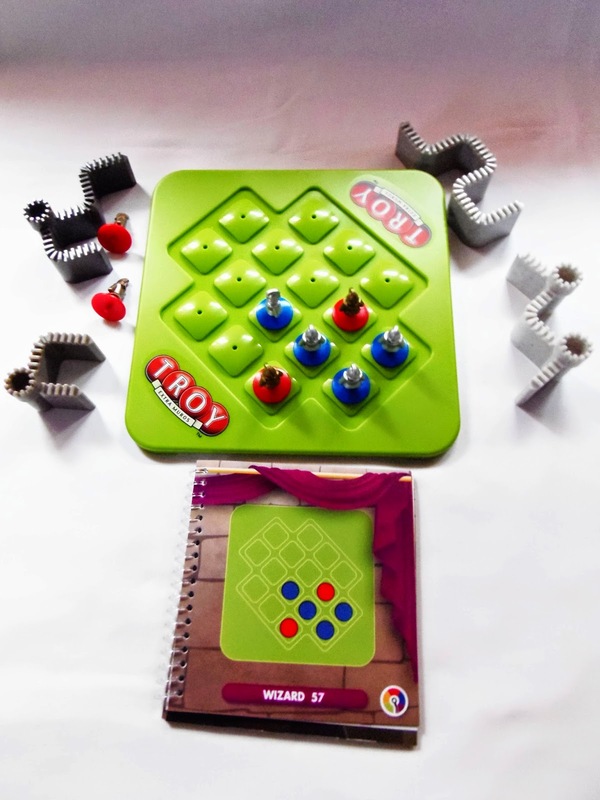 The puzzle comes with a booklet including over 100 challenges, enough to keep you occupied for a long time. 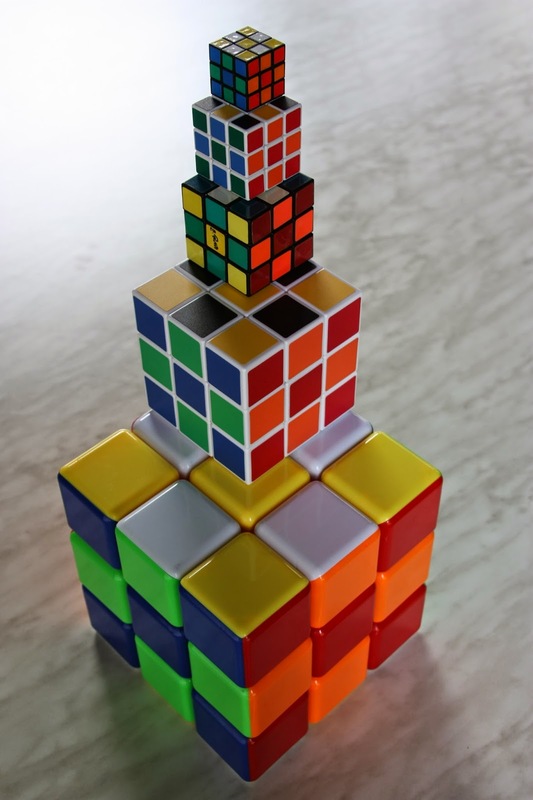 Because of its superb design and original challenges, the Cubits remains as one of my all-time favorite puzzles. It was recently added to my collection and it's already one of my favorites. 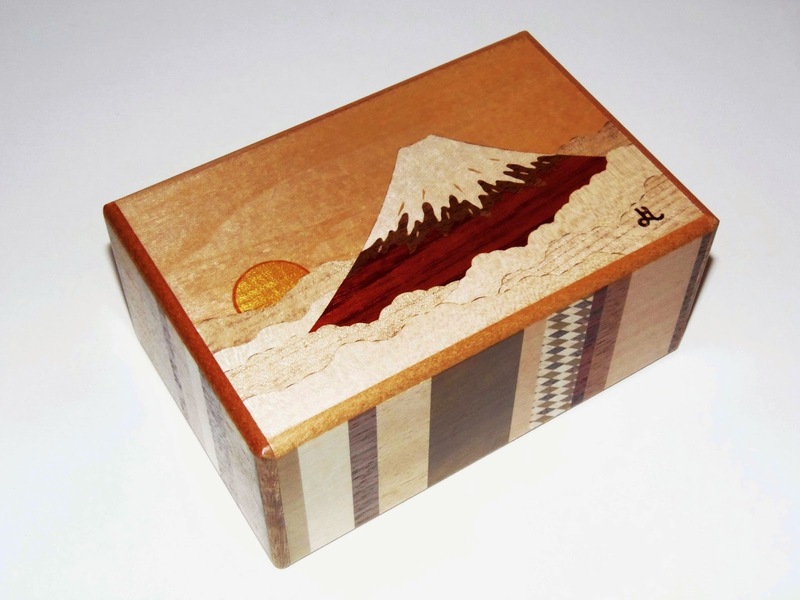 The marquetry work in this Japanese Puzzle Box is flawless and the design is awe-inspiring. 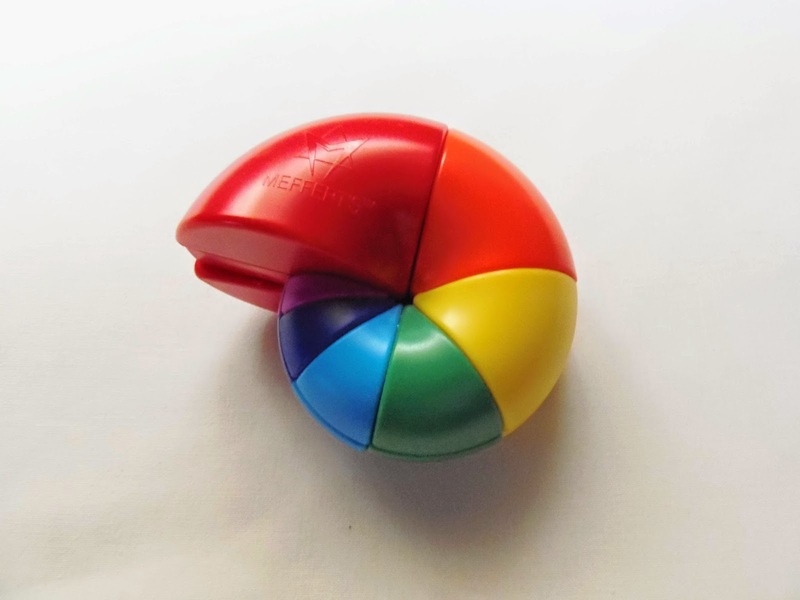 As a 5 Sun box, it has a satisfyingly large size (15cm or 6") and with 21 steps required to open it, it's considered a moderately challenging puzzle box. 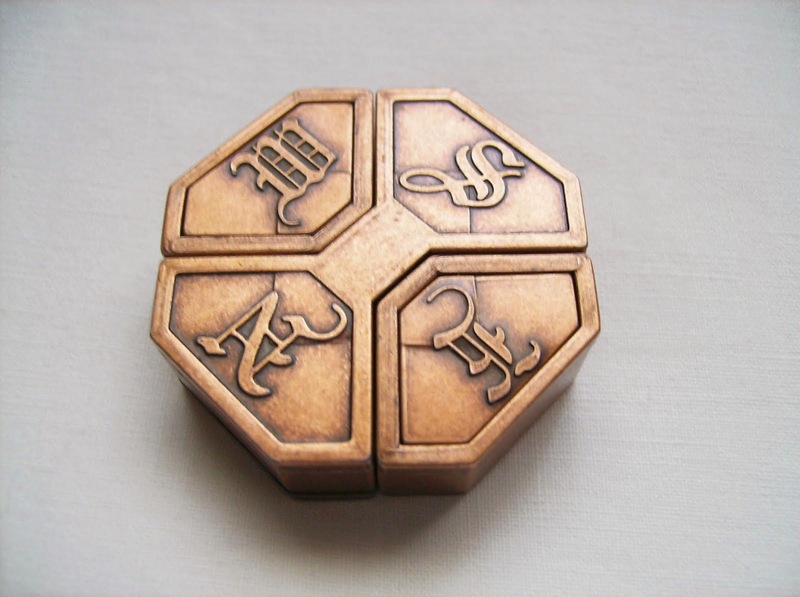 If you're still not convinced to get a Japanese Puzzle Box after seeing this, I don't know what will, but you're losing out on something quite extraordinaire. Made in the small village of Avoudrey, in eastern France, with a population just shy of 800 inhabitants, the Truzzle is an exquisitely beautiful type of wooden puzzles invented by Frank Paris. There are many variations and designs, and choosing one might be extremely difficult. 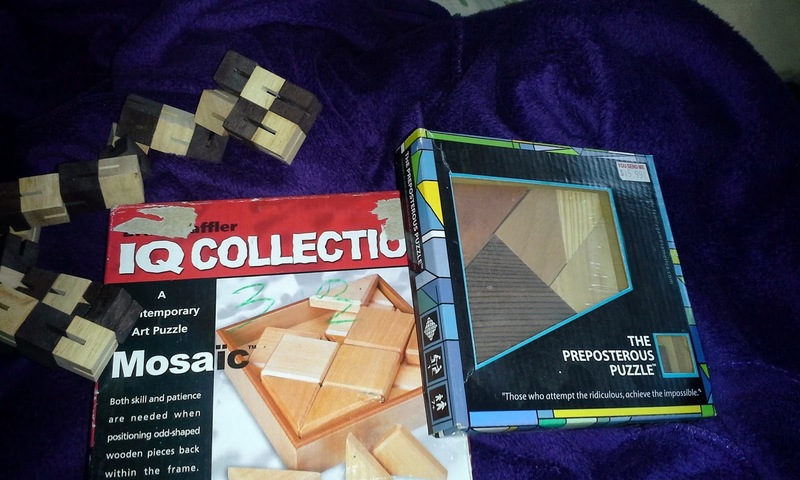 These puzzles are essentially an edge-matching puzzle, or like a jigsaw puzzle with straight edges. The goal is to mix the pieces and then reassemble it to make the wave pattern. The craftsmanship in these puzzles is in a word, perfect. The lines and curves are smooth and the wood is of extremely high quality. It's an expensive puzzle, but you'll see that it's worth every penny and deserves a prominent place in your collection. The Truzzle is still my all-time favorite puzzle and it will be tough for any other puzzle to beat its number one spot. Without further ado, here are the three winners of the competition, in no specific order. I only reveal the first name of each participant, because I don't know which one of you are comfortable with me publicly revealing your full names. Also, to the winners of the gift certificates, if you decide not to use your prize, please let me know so I can give it to someone that will. 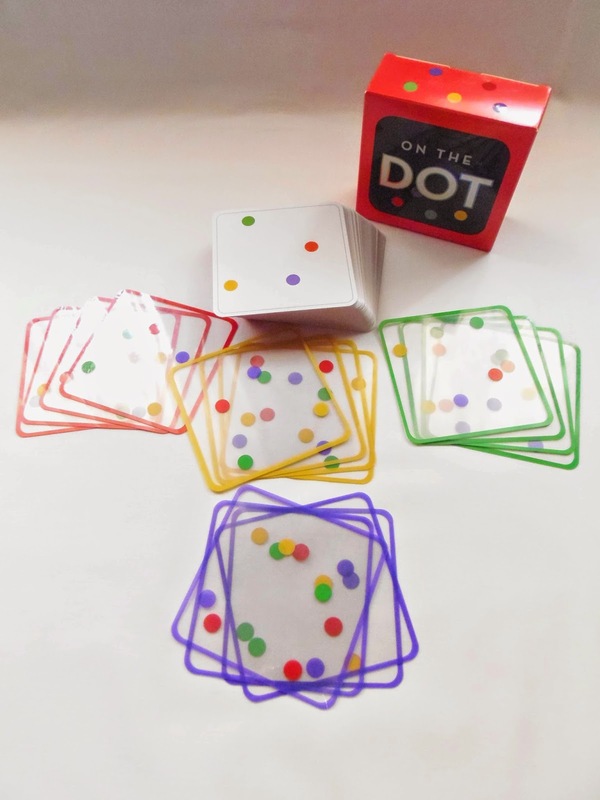 On the Dot is a very cool game from Brainwright with a simple but rather clever concept. Invented by Dominique Bodin, this game is a re-edition of the original Vitrail (translated from the French as stained glass) launched in 2006. This concept, however, is not entirely new. 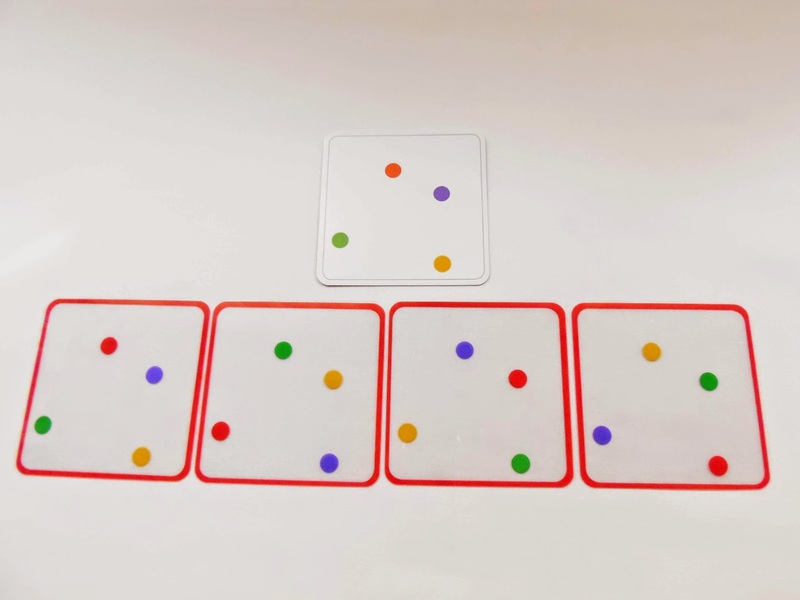 If you're familiar with the Transposer puzzles, this is very similar in the way that you have to overlap cards so that they show a specific pattern. 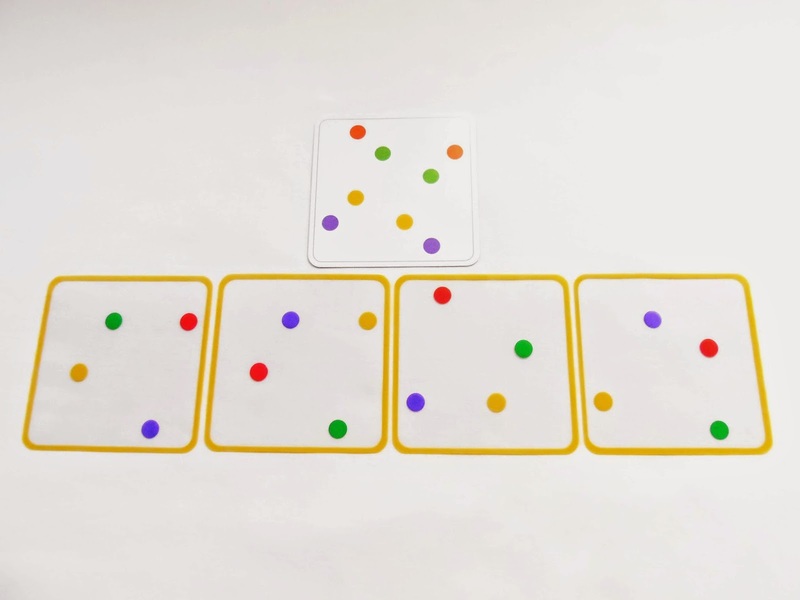 The game comes with four sets of transparent cards, each set in a different color. The pattern you see on each card is the same. 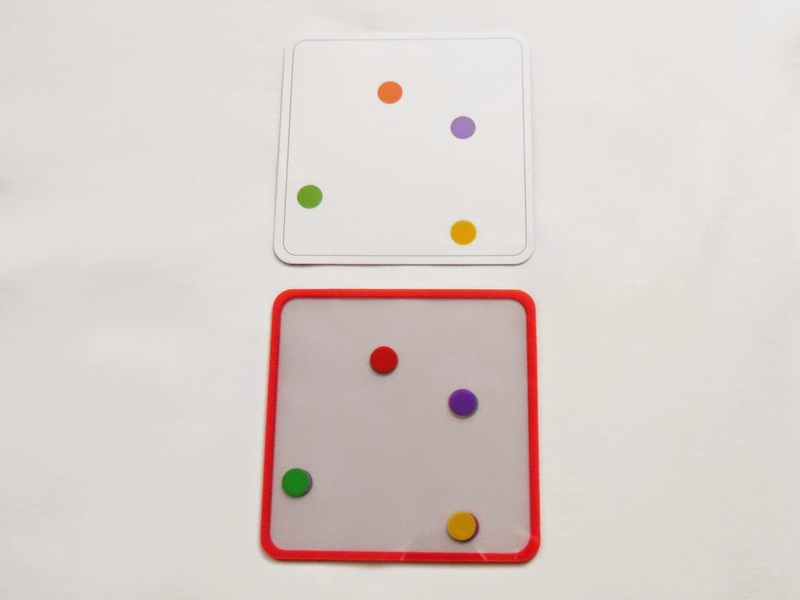 In the other words, the position of the four dots found in each card is always the same, but the color arrangent differ from card to card. What's fascinating about it is that you can rearrange the cards in so many different patterns by just rotating and flipping them in any direction. There are some rules you need to take into account in order to play the solitaire game. You can also play the game with more players, but for now let's just focus on the main game. There are 60 challenge cards included in the game. 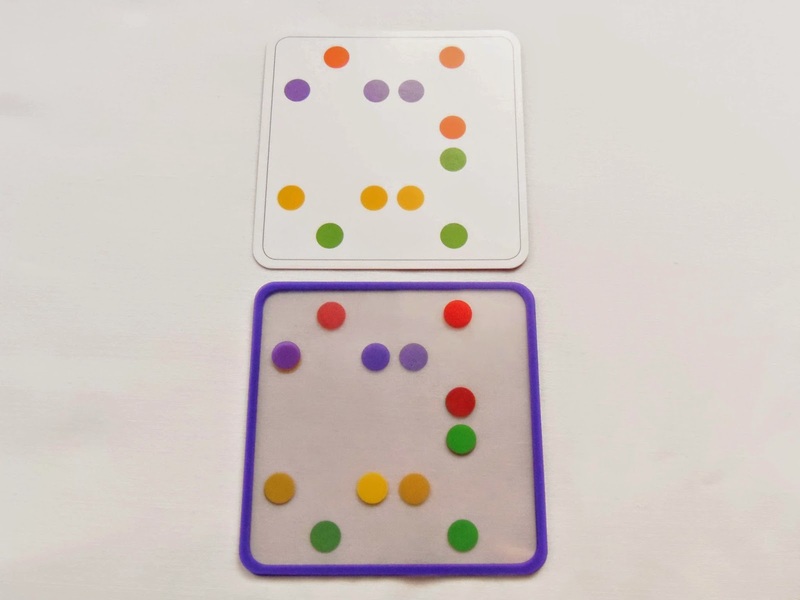 There are no difficulty levels indicated in the cards, but you can tell if it's an easy or a hard challenge by the number of dots that appear on each one. 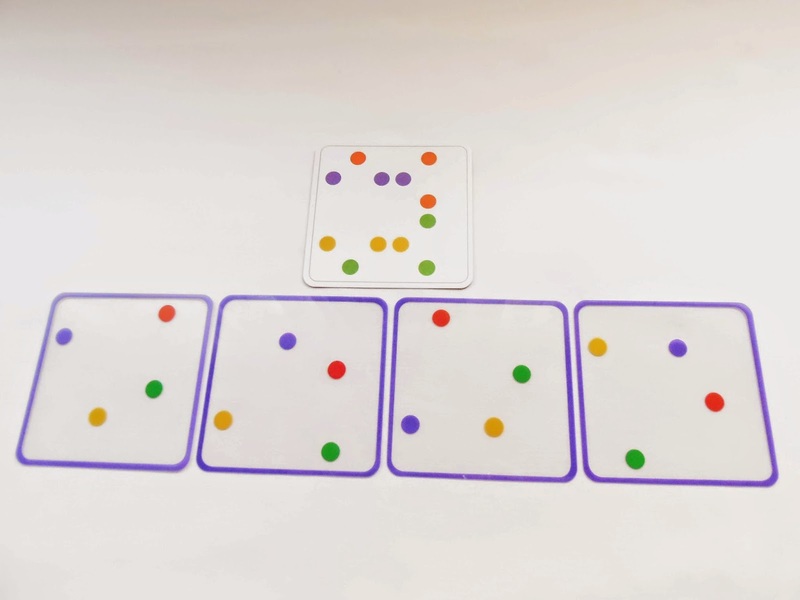 To start a challenge you need to pick one set of transparent cards with the same color border and find a way to overlap all four cards so that only the spots on the challenge card are shown. The secret is to find a way to hide the spots you don't want to appear. The cards have to overlap in a square, not diagonally or other odd directions. 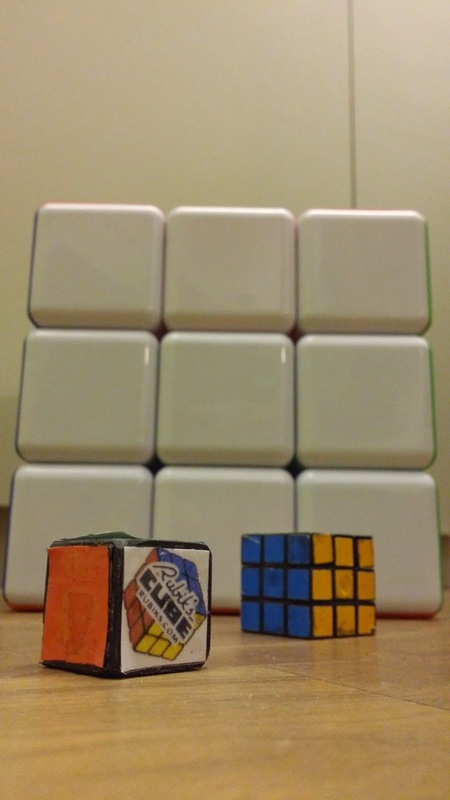 Most of the challenges are pretty easy to solve, even the ones that show more than four spots. What I found most interesting is that it didn't matter which set of cards you choose for any challenge. Each set has four cards with different color arrangements, but they're identical in each of the four sets. The reason there are four sets is to play with up to other three players. The rules are simple: just pick some challenge cards and race against your opponents to finish all the patterns first. On the Dot is a pretty fun game to play. I prefer to play it alone, as I'm not very fond of playing multiplayer games. If you liked any of the Transposer puzzles this one will certainly please you as well. 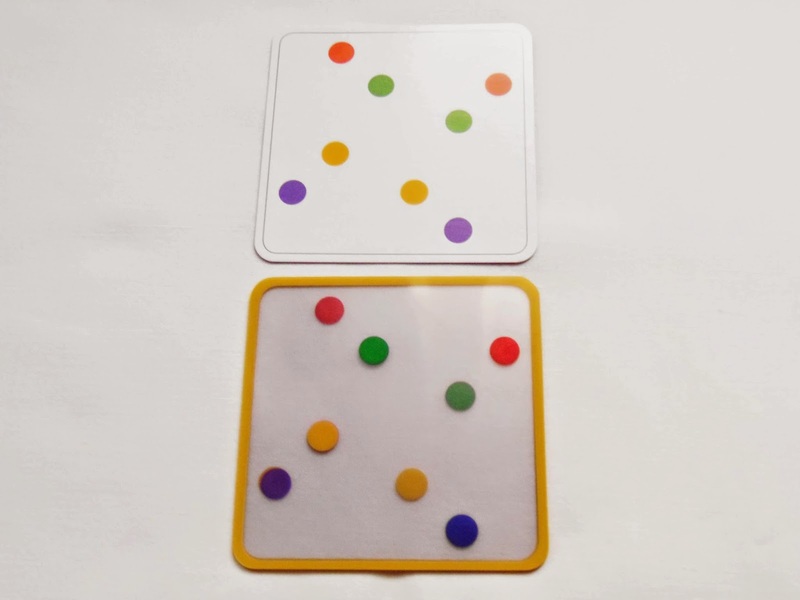 Availability: On the Dot is currently out of stock at PuzzleMaster. Keep checking back on their website for updates on availability. In the meantime, you can check out other interesting puzzles and games from Brainwright. Best known as the setting for the Trojan War, which took place sometime between the 12th and 14th centuries BC, the city of Troy has been the subject of people's imagination and fascination in many legends since then. Once more, by the mind of SmartGames' lead designer Raf Peeters, Troy takes the center stage as the setting for a unique logic game that puts you in the role of city savior and protector. Are you up to the challenge? The main goal of Troy is to place the walls around the city to protect your knights (blue) from the enemy (red). 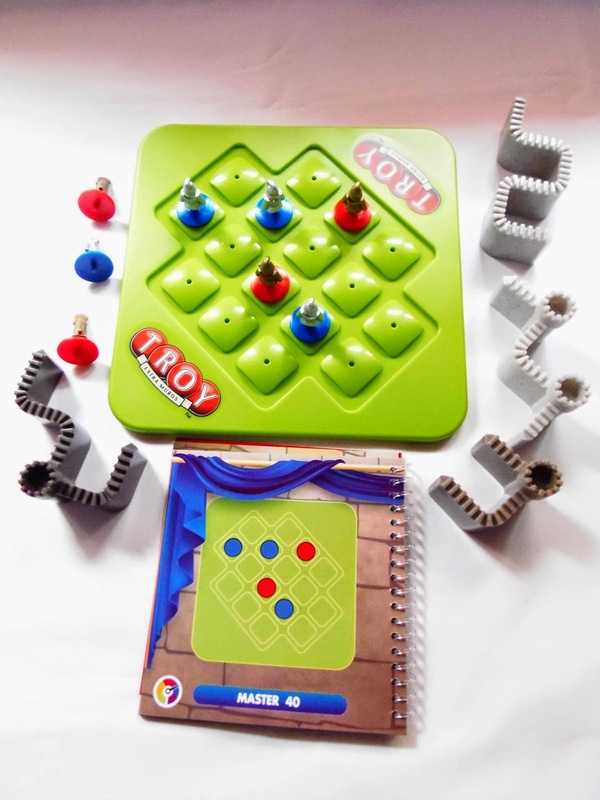 The game has an equal number of friends and foes, four tokens for each side, and four uniquely-shaped walls. Once the knights have been placed on their respective positions you can't move them around. Only the walls can be moved. Setting up a challenge to play is very simple. The game board is divided into 16 individual squares, and only one knight can occupy a space at any given time. The squares have holes in them to hold the knights in place so they don't move accidentally, and the space between the squares is used to place the walls. Each challenge shows you the initial position of the knights, and on the "Starter" levels it even shows you the position of one or two walls. Not every challenge features enemy knights. When that happens, though, you still need to find a way to keep your knights protected from any possible attack, and only the walls can help you on that task. Placing the walls around the game board is not without some rules, however: for example, you have to be careful where to put the part of a wall with a tower, because it can't be placed against another wall; the walls have to be placed in the indentations between the squares or they won't fit: you can't completely isolate an enemy knight with walls on its four sides. Each of the 60 included challenges have only one solution, but despite the harder levels appear a little intimidating, I found this is not as difficult as other logic games. I particularly liked the presentation of the challenge booklet, which looks like a ring notebook. You should always start with the easy levels, and by the time you reach the "Wizard" level you'll be able to think more clearly on how to find the correct solution. One thing that you never see from SmartGames, even after so many released games, is repetition or recycled ideas. 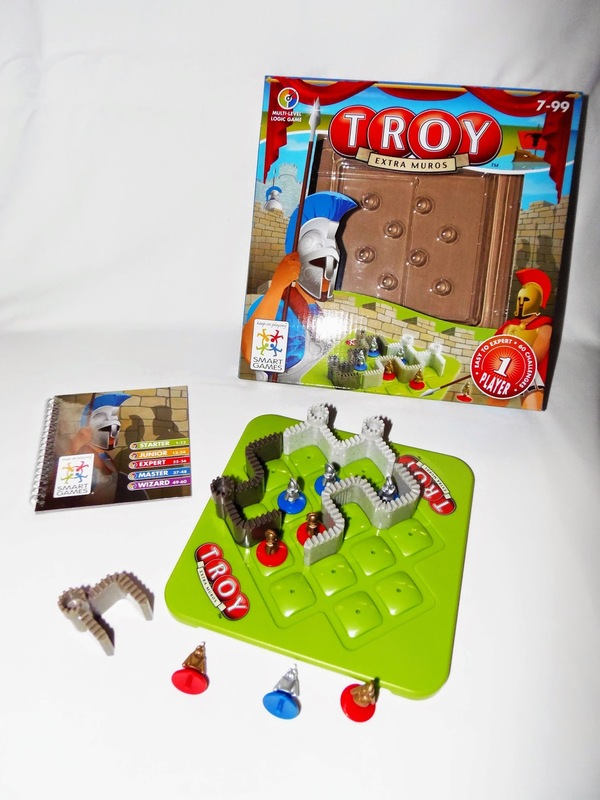 Troy feels as original as if it were the first game designed by Raf Peeters, and that's something not many game companies can say about their games. 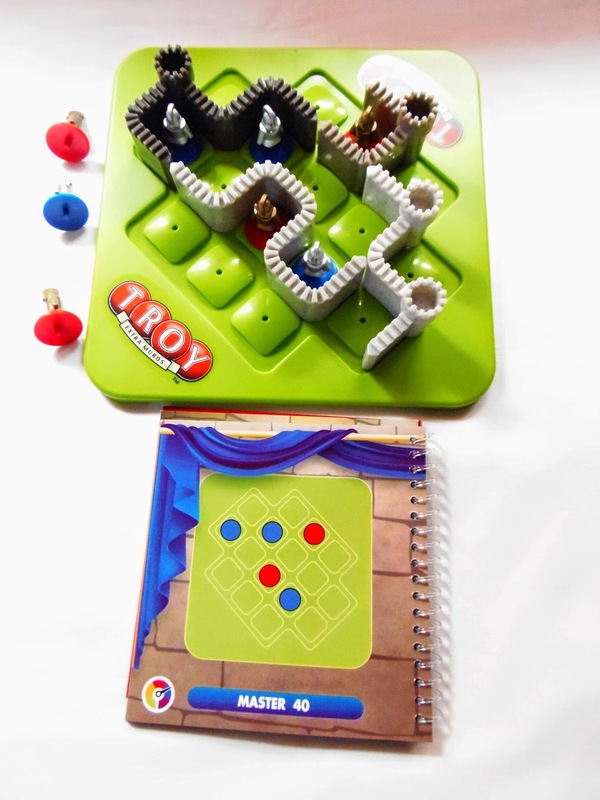 I highly recommend Troy, a game that can be played by the whole family. 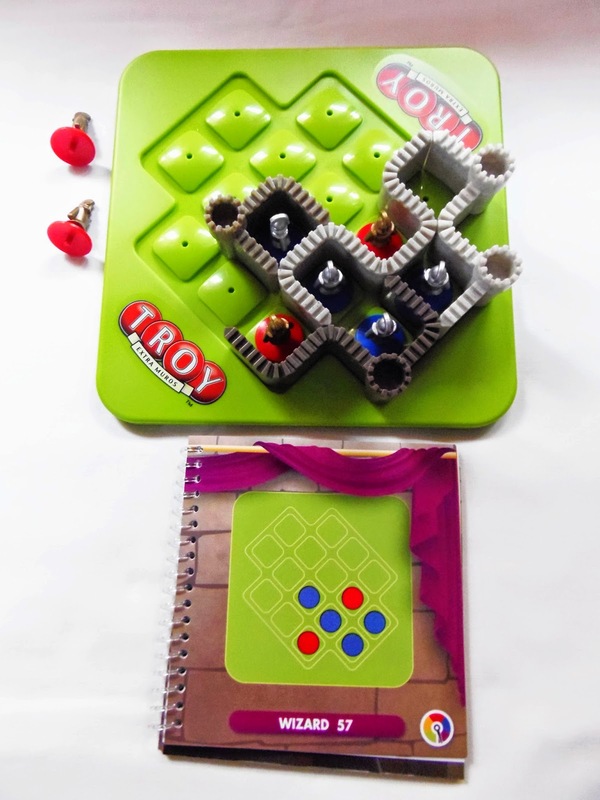 Availability: Troy, and many other games by SmartGames are available at PuzzlesdeIngenio.com.